Oren's Money Saver: Refer Friends and Family for Super Cheap Gas at Shell! Refer Friends and Family for Super Cheap Gas at Shell! I just went to Shell and saved $1.85 per gallon as my receipt shows. I paid $5.24 for 15 gallon of gas! That's a pretty amazing price. How did I do it? I referred family and friends to Fuel Rewards Network. If you sign up with my link, you will get $0.25 a gallon off your second purchase of gasoline at Shell with the card. You first purchase must be 8 gallons or more. 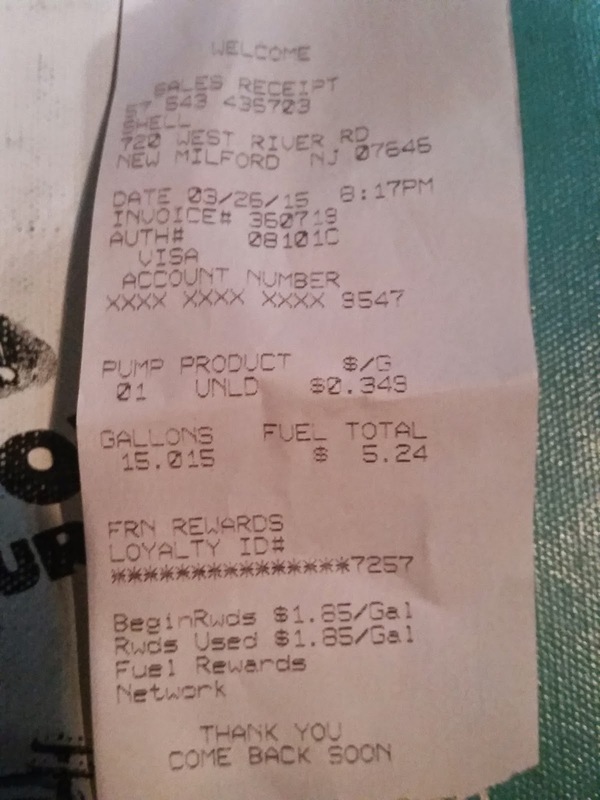 When you refer friends, they will get $0.25 a gallon off and you will get $0.25 a gallon too. The best part is that the $0.25 for the referral posts to your account even if your referral person never goes to Shell! You can sign up for multiple accounts in your household (or for anyone else who let you). It seems that multiple people in the same household can have the same name :) I signed up family members with my link. I got free gas and they got free gas. It is a win for everyone. All you need is a name, phone number, email address and postal address. Sign up your whole family and your gas can be super cheap too! You can also have super cheap gas by buying Visa Gift Cards at Stop & Shop tonight!